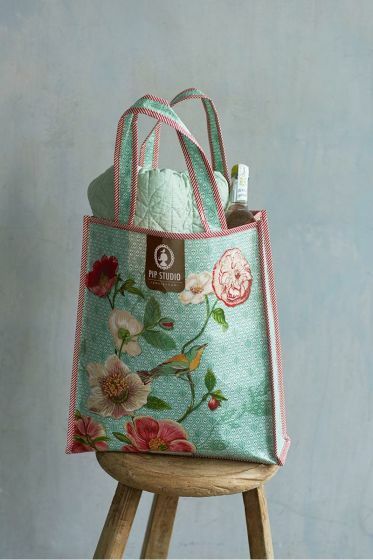 This green eye-catching shopper is practical and elegant, all-in-one. The Pip Poppy pattern shows an ultra-fine repeating pattern of graphic leaves, with an impressive print in hand-painted look of a bird, a butterfly and flowers on it. This light blue Folklore Chintz wallpaper has a white base and a blue pattern of detailed, drawn flowers. The scattered dots background has a relief.